I compiled a list of the 5 best mini bikes that both kids and adults will like. 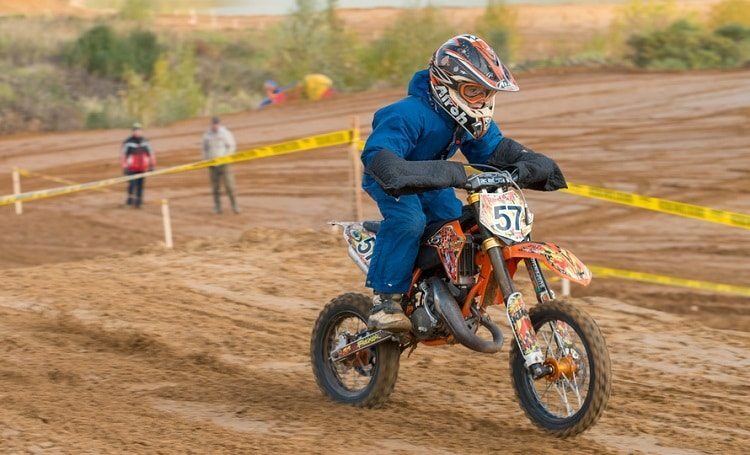 These mini dirt bikes are a mixture of the gasoline-powered and electric variety and they come in all shapes and colors. 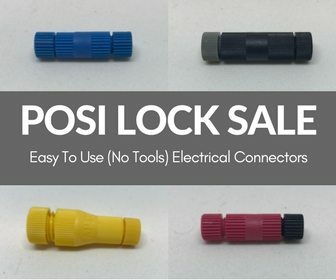 But first, here are some of the things that you should check out if you are planning to buy a mini bike. 1. Mini bikes are NOT street-legal. Of course, this will depend on where you live. But for the most part, mini motorcycles should not be used on public roads. They are only good for the track, whether dirt or whatnot. Kindly check with your local authorities to determine the legality of using pocket bikes in public places like parks or empty parking lots. Electric-powered mini bikes are cheaper to run and they run quietly as well. But when the battery runs out of juice, the fun is over. With a gasoline –powered variant, all you need to do is to fill up the tank and get back on the track. ​3. Mini bikes may be small, but they pack quite a punch. 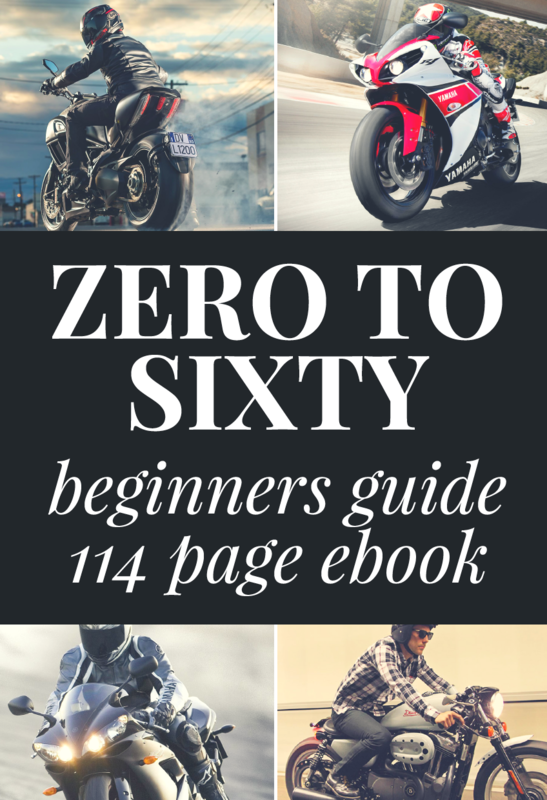 If you are buying a mini motorcycle for your kid, it is better to choose something with a lower horsepower rating to minimize the risk of accidents. This also holds true if you are a first-time rider. The Razor MX350 is a mini motocross bike that costs less than $300. 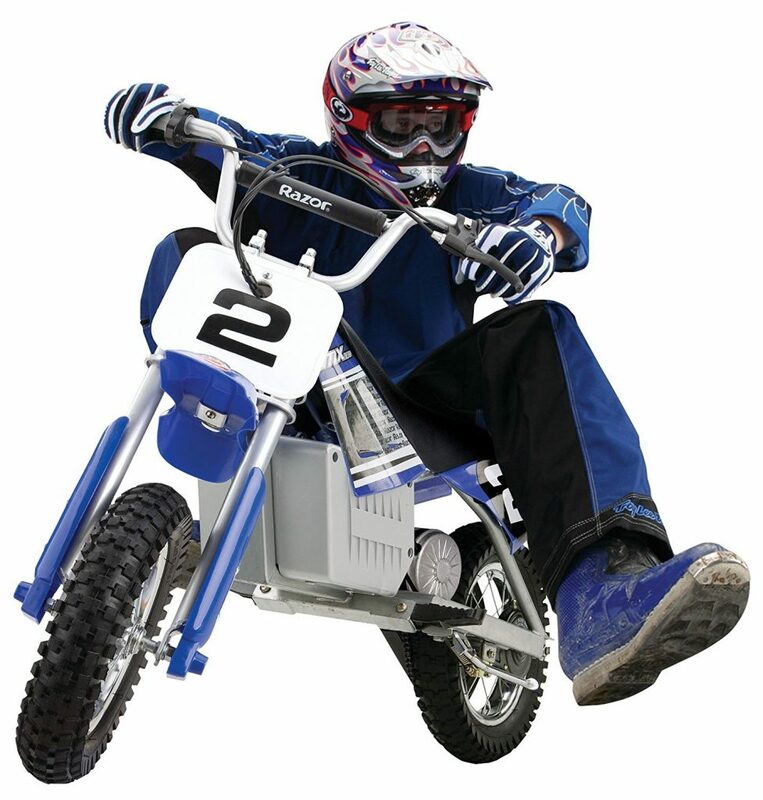 It is a battery-powered mini bike with a single-speed chain driven motor. It also has large 12-inch knobby pneumatic tires and dual suspension to absorb all those nasty humps and bumps. 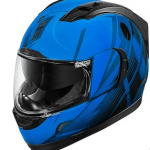 ​The Razor MX350 is equipped with a 350-watt high-torque electric motor that is good enough for speeds up to 12 mph. The battery pack can take you up to 10 miles before needing a full recharge. That is approximately around 30 minutes of continuous use. It may sound meager, but considering the size and the speed that this thing can reach, it’s certainly good enough. The Razor MX650 is a bit bigger than the Razor MX350 and is perfect for teenagers aged 16 and up. 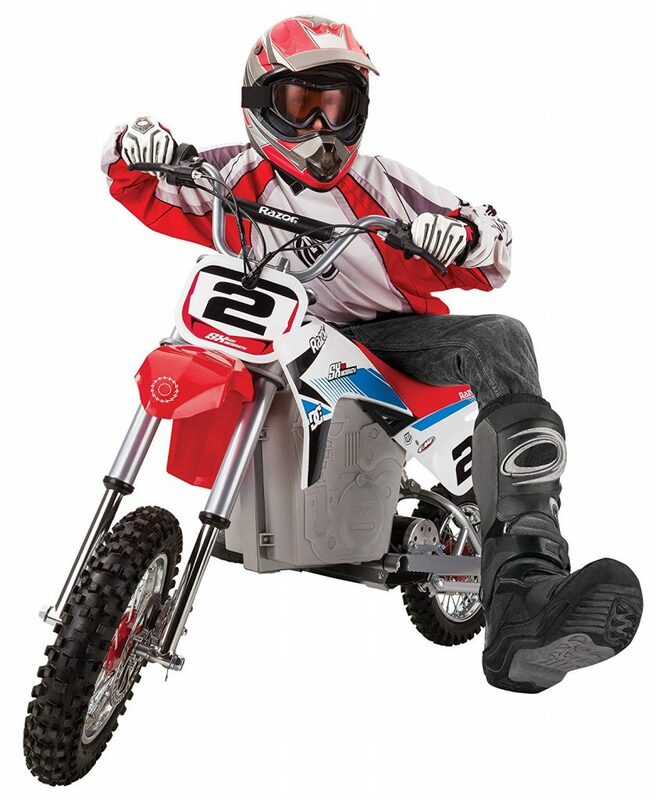 This mini motocross bike is equipped with a larger and more powerful 650-watt electric motor that can propel your teenager up to 17 mph. Like the Razor MX350, the MX650 is also equipped with dual suspension and adjustable riser handlebars. It is also equipped with larger 16-inch knobby pneumatic tires and a variable-speed chain drive motor. What’s really cool about the Razor MX650 is the frame. It is based on a real dirt bike frame for better off-road performance. And since this baby is rated for riders who weigh no more than 220 pounds, even adults can have a ton of fun in this pocket bike. The Coleman CT100U is an old-school type of mini bike. It is powered by a 4-stroke OHV single cylinder 98cc. gasoline engine that churns out a maximum of 3 horsepower. Now again, this might not sound enough, but I tried this bike just to get a feel for the power and it really blew me away. It is not super-fast to be quite honest, but it is peppy and it accelerates with gusto! The Monster Moto is equipped with an 80 cc. four-stroke OHV gasoline engine that is paired with an automatic no-shift centrifugal force clutch. What this means is you simply squeeze the throttle to feel the rush of power. The rated top speed is about 25 mph, which is not bad for such a small machine. The Monster Moto MM-B80-BR has a reinforced tube steel frame that is finished in a beautiful yet rugged black powder coat finish. It is also equipped with tough and durable no-dent polypropylene fenders. 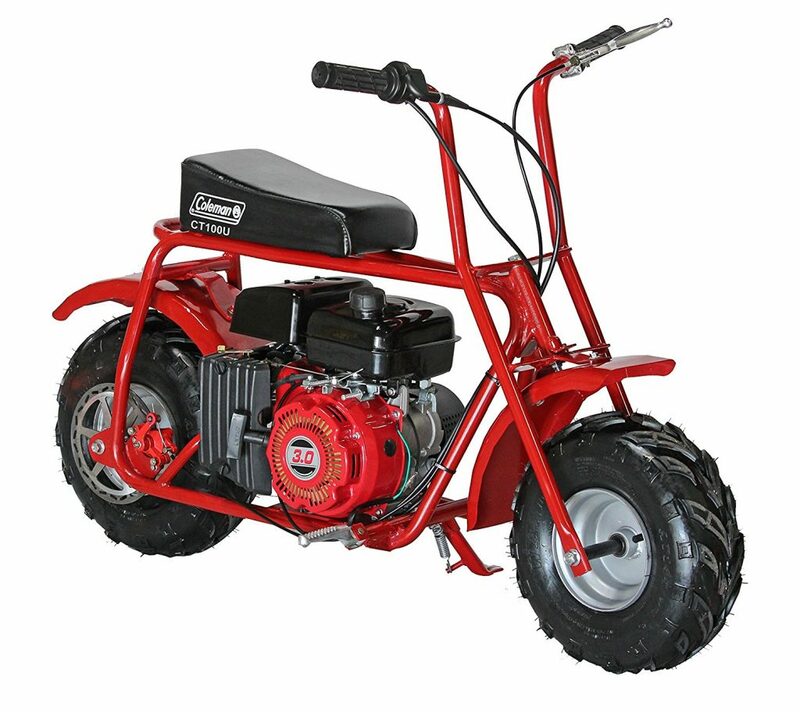 This mini bike is built to conquer the wild outdoors, and it shows in the construction, quality, and fit and finish. This electric mini bike is a tribute to Jeremy McGrath, who happens to be one of the best and most renowned dirt bike riders in the history of motocross. 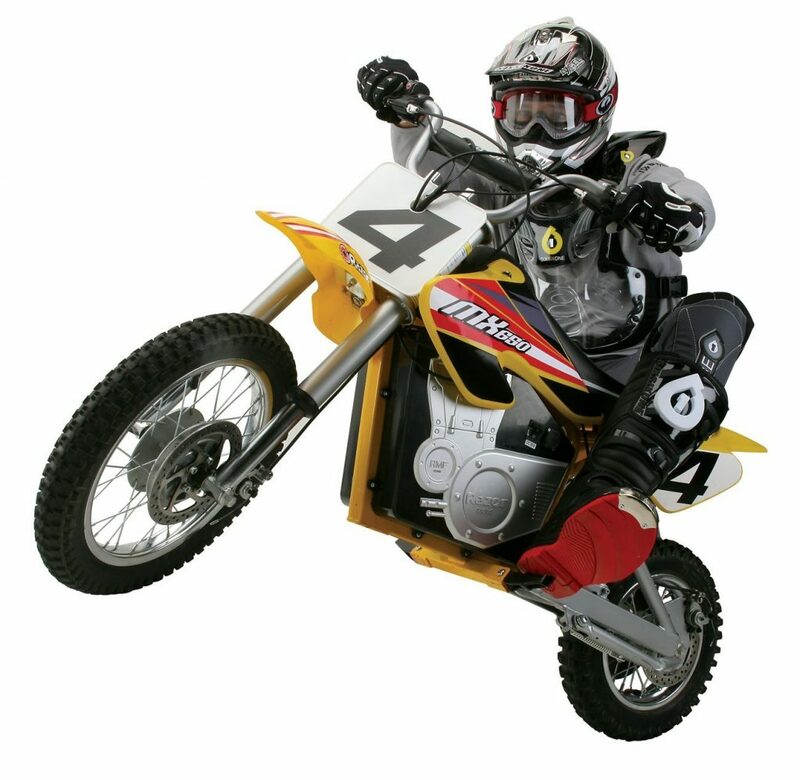 This mini bike even comes complete with authentic graphics and flaring designs from Jeremy’s actual dirt bike. 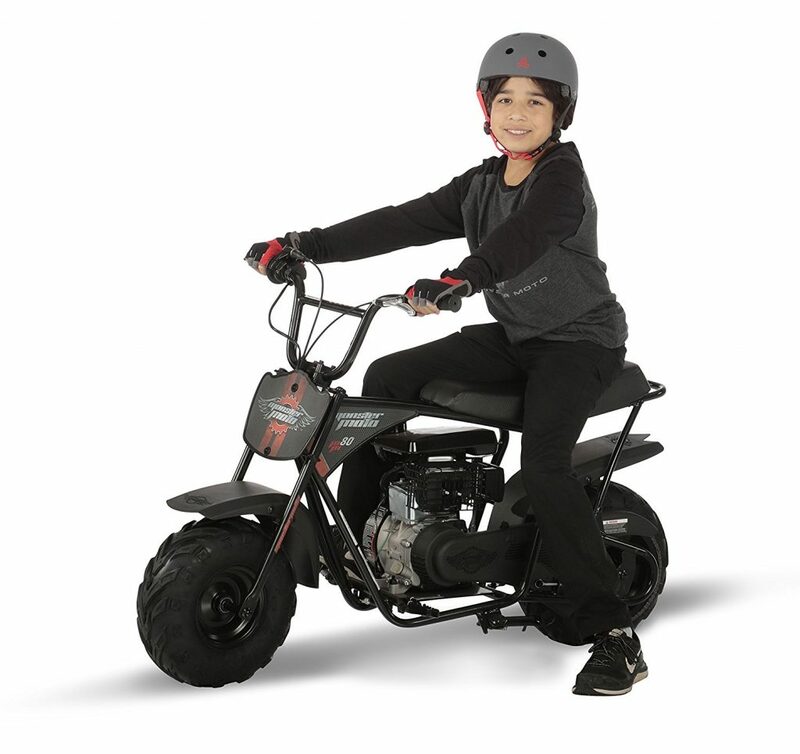 This pocket bike is equipped with a variable-speed electric motor that is good enough to reach speeds of up to 15 mph. The rechargeable battery can provide 40 to 50 minutes of fun before it runs out of juice. At this point, simply grab the charger and wait 12 hours for the battery to fully charge. 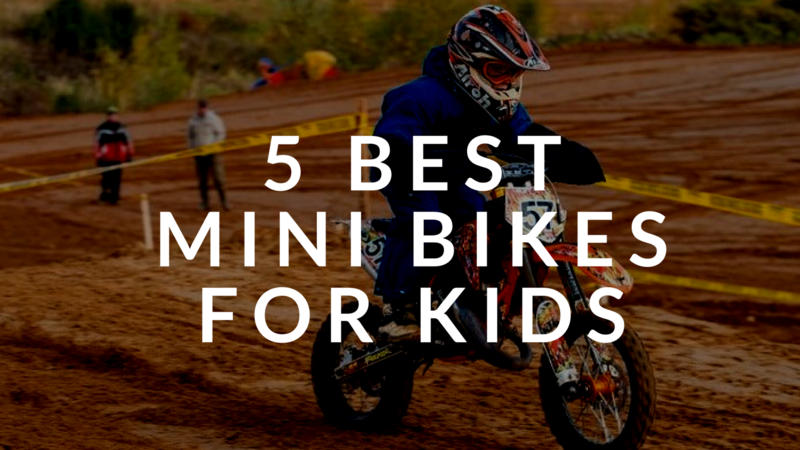 All of these 5 mini bikes are among the best you can buy. But if I were to really choose, I would buy the Coleman Powersports CT100U simply because of the powerful gasoline engine. This baby is also on the lower end of the price range which makes it a true winner in my book. When it comes to electric mini bikes, I’d choose the Razor MX650 because it is bigger and more powerful than the Razor MX350. The Razor MX350 is a solid choice because it has ample amounts of power without feeling a bit too much for the size. I also love the build quality and robust feel of the Monster Moto MM-B80-BR but it costs almost $100 more than the Coleman CT100U. If you are planning to use your mini bike in rough and inhospitable terrain, then you can’t go wrong with the Monster Moto.